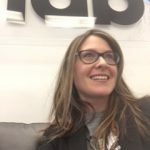 IAB Canada is thrilled to announce Laura Ferron’s appointment to Senior Director, Councils and Committees at IAB Canada. Laura has over 8 years of industry experience having spent six years in progressive roles at top media research companies including comScore and Ipsos. Laura is a creative thinker and a problem solver and will bring an entrepreneurial spirit to the Councils and Committees as they continue to drive our industry forward. We are excited to have a dedicated resource focusing on the delivery of outputs from our amazing community of powerful digital thought leaders in 2018 and beyond. Laura will be working with Melanie Pavao (Member Services) and Barbara Broadhead (Councils and Committees) to help lead discussions, drive meaningful outputs and liaise with Council and Committee Chairs and Board Members.